Dr. Brainerd received his BS, MA, and PhD degrees in experimental psychology from Michigan State University. He is a Fellow of the Division of General Psychology, the Division of Developmental Psychology, the Division of Experimental Psychology, and the Division of Educational Psychology of the American Psychological Association. He is a Fellow of the American Psychological Society and of the Psychonomic Society. Dr. Brainerd is board certified in forensic examination and in forensic medicine. He has received the Governor of Arizona’s Spirit of Excellence Award for scholarly work in higher education and the State University of New York Chancellor’s Award for Excellence in Research. Dr. Brainerd advises civilian and military courts throughout the United States on memory issues, has contributed to amicus briefs in many appeal cases, and has received the Judge Advocate General’s Trial Defense Services Medal for his work with military courts. 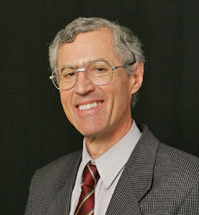 Dr. Brainerd has published over 300 research articles and chapters, as well as over 20 books in areas such as human memory and decision making, statistics and mathematical modeling, psychological assessment, learning, intelligence, cognitive development, learning disability, and child abuse. He is past Associate Editor of Child Development, the leading research journal in developmental psychology, and he is past Associate Editor of The Behavioral and Brain Sciences, a leading theoretical journal in cognitive neuroscience. He is Editor of Developmental Review, the leading journal of theory and literature review in developmental psychology. Dr. Brainerd has received four decades of research support from agencies such as the National Institutes of Health, the National Science Foundation, the Natural Sciences and Engineering Research Council, the North Atlantic Treaty Organization, the Department of Agriculture, the Marsden Fund, and the Spencer Foundation. His current research program focuses on the relation between memory and higher reasoning abilities in children and adults, and it also focuses on false-memory phenomena. Together with Valerie Reyna, he has developed an influential theory of the relation between memory and higher reasoning, fuzzy-trace theory. This theory has been widely applied in medical and legal decision making and in the evaluation of forensic interviews and sworn testimony. * The FABBS Foundation would like to thank Dr. Robert Sternberg for nominating Dr. Brainerd for this honor and for leading the effort to spread the word about his nomination. Would you like to honor Dr. Brainerd? It’s not too late to have your name added to the list of donors! You can make your donation to Dr. Brainerd’s In Honor Of… campaign at anytime.